Media Developments offering RENT-A-WEBSITE for responsive websites, SEO, hosting, support and more from R399.95 per month. Ideal for small and start up businesses. Renting a Website can save you thousands of rands in web design, hosting and domain name costs! For less than R14 per day we can develop and design a fully functional site that is easy to maintain. Renting a website is a monthly rental package which includes everything a small business needs to put their business online from only R399.95 a month plus a initial setup fee. 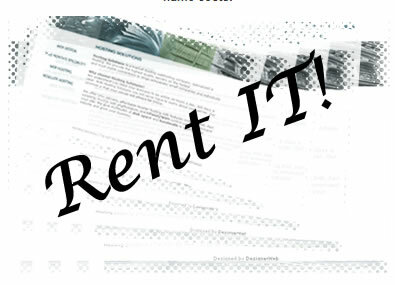 Renting a website eliminates the need for the upfront costs of web design. The monthly rental fee includes everything a professional website needs - the domain name, hosting, submission to search engines and a professional website that is easily updatable. Compare this to the price of yearly hosting and domain registration alone and you will see why we believe that this is the best website price you will find anywhere in South Africa! The combination of features and price make Renting a website unbeatable! Speak to someone from our sales team regarding our Rent-A-Website solutions - please contact us.